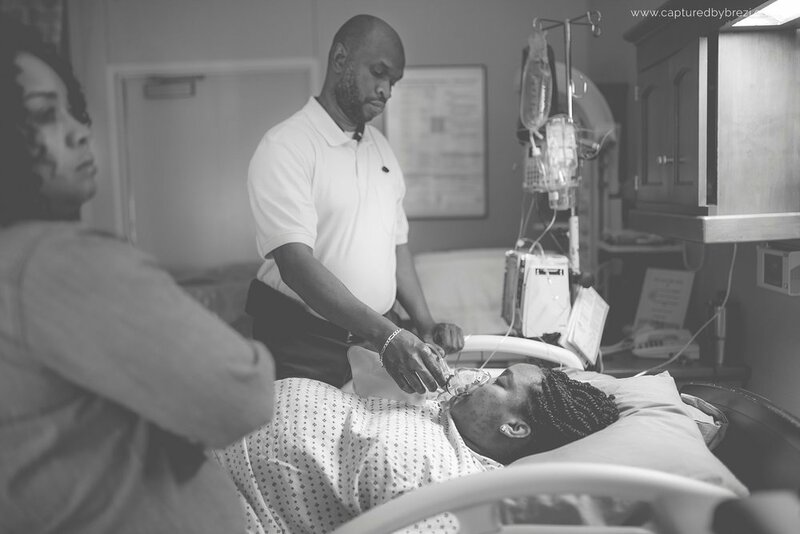 Birth of David - Colorado Springs Birth Photography — Love is Photography LLC. "This special miracle came to us in God's perfect time. He is an answer to our prayers." Beautiful words, straight from David's parents themselves. When I met Joan, her husband Glen and their three children, Joan was pregnant with her first biological child. After having adopted her first three she learned of her first pregnancy with her son, David. It seems to work that way doesn't it? Time and time again I hear of women adopting a child and almost instantly becoming pregnant. What a blessing it was; four children, one pregnancy. We sat and talked birth, babies and pictures, and I admired her neatly kept home and amazingly well mannered children. One sweet girl and two twin, energy filled, boys. She showed me her wedding album and we talked about places where we would take her maternity pictures. Garden of the Gods was where she and her husband went for their engagement pictures, so it was only right we go there this time to take their maternity pictures. Family portraits are not usually my forte, I leave those for the more talented, kid wrangling, photographers. Nevertheless, I managed a few smiles in my direction and made sure to not stop taking pictures of them as they came. Really though, it was quite a fun little mini session, her boys were no more and no less awesome and energetic than I expected them to be! I love when children are unapologetically themselves. It's really the beauty of being a child isn't it? Aren't they adorable? . . .
Of course this young lady was quite the natural in front of a camera. I love this precious moment between mother and daughter. A mother, daughter bond is something very sacred, in my opinion. . .
After this session, I began to play the waiting game. One of my favorites. 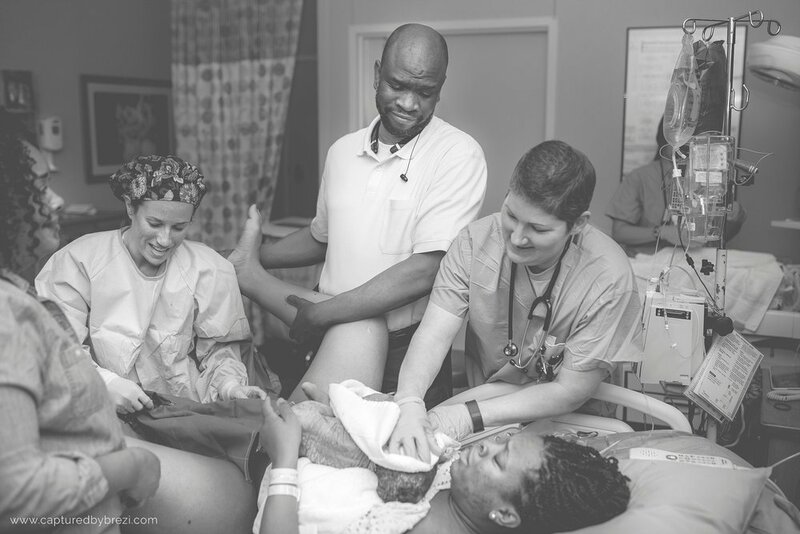 The anticipation of birth is sometimes just as exciting as the birth itself. As the date approached, Joan texted me that her team at the hospital she would be delivering at were going to be inducing her if things did not start naturally. 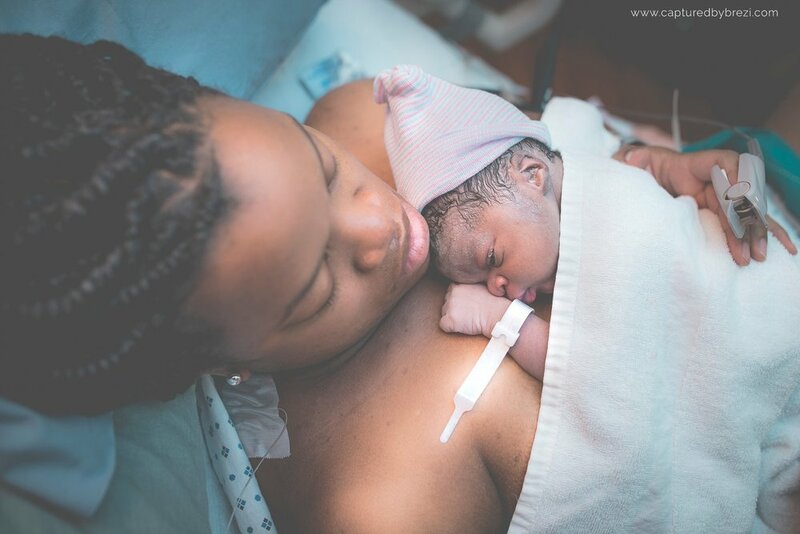 She tried things at home to jump start labor, but when those things didn't yield results, went ahead with her planned induction date, and kept me informed as they moved along. I got a call around 3:30am from her husband. He told me that things were starting to pick up and she was now dilated to 5cms. So in my sleepy excitement, I took my time getting ready, packed my lunch and made to Starbucks just in time to be the second customer of the day. I can't lie, I was a little disappointed I wasn't the first. The journey from my house to the military base where the hospital stands, is about 35 minutes. I have really come to love my longer, drives alone. Often I am watching the light from the sun peek over the east, and wondering where all the other cars are off to so early. Are some of them also racing to a home or hospital to witness a miracle like I was? Perhaps. I arrived at the gate, showed my pass, and made my way towards the hospital entrance. I had only been here once before, and I could not remember how to get in. Lucky me to have run into someone who was kind enough to show me the way. Glen greeted me as I walked in, and Joan was closing her eyes trying to rest and breathe through her, pitocin induced, contractions. She was able to get through them a little easier with a bit of pain medication. Pitocin is a synthetic form of oxytocin, which your body naturally makes when in labor. It's used to induce labor the same way, yet it doesn't have the same calming effect as natural oxytocin and can bring on much stronger contractions. A few hours of intense labor later, and she and her sister started to talk about other pain relieving options, ultimately deciding on an epidural. 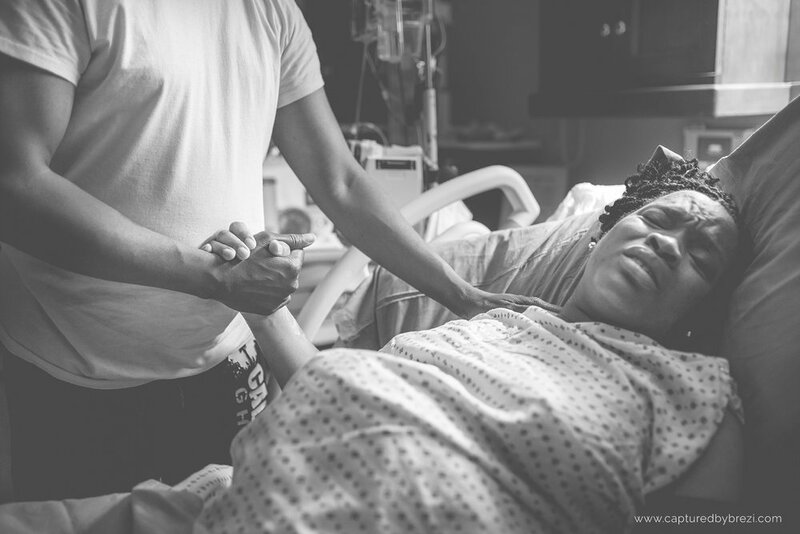 Epidurals can sometimes slow labor, however they can also be just the trick to get the mother to that next phase of labor pretty quickly when they are not progressing very fast. That is exactly what happened here with Joan. She was able to rest for about 30 minutes, and after that she was complete and ready to start pushing! Shortly after she started pushing, David came earthside. . . Thank you Joan and Glen for choosing me to be apart of this beautiful day and capture these sweet moments. God Bless you all!